When The Courthouses of Central Texas was published earlier this year I experienced the curious transition that all writers go through of going from someone who creates knowledge in the world to someone who goes out into the world to sell a product. Being a writer is cool. Being a salesmen is less so. Still, the 1,500 copies that UT Press printed won't sell themselves and so I've started to organize a series of lectures, exhibitions and book signings to introduce the book to world. In terms of book sales, the ROI for these efforts is limited (I earn a couple of bucks in royalties for every book I sell), but they can be really fun things to do and it gives me the opportunity to interact with some great people. 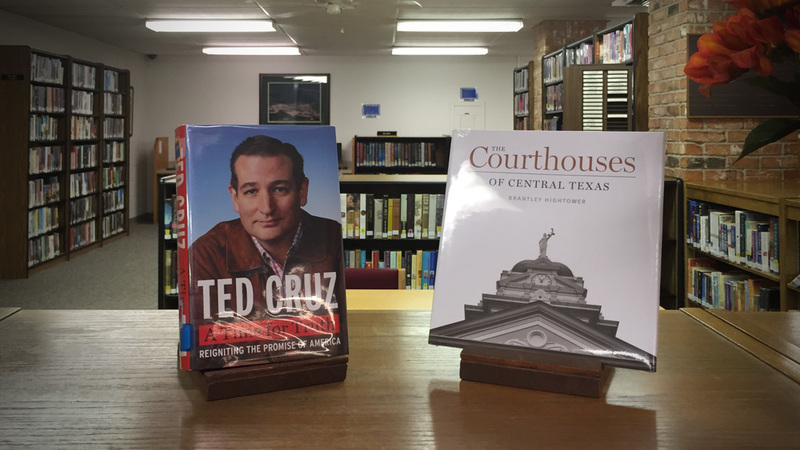 For example I was in Rockdale this week to speak at the Lucy Hill Patterson Memorial Library and had a wonderful discussion with about 25-or-so residents of Milam County about how their courthouse figures in the story of courthouses in the state. I also was given a tour of Rockdale which is a lovely community an hour east of Austin with a beautifully restored train depot and a fun post-war movie theater. Hopefully the people who attended the talk learned a thing or two as a result of me visiting Rockdale. I know I did. I also sold seven books, which means I raked in $14.